Bred for rat killing and rabbit coursing, the Manchester Terrier temperament is alert, active, and discerning. 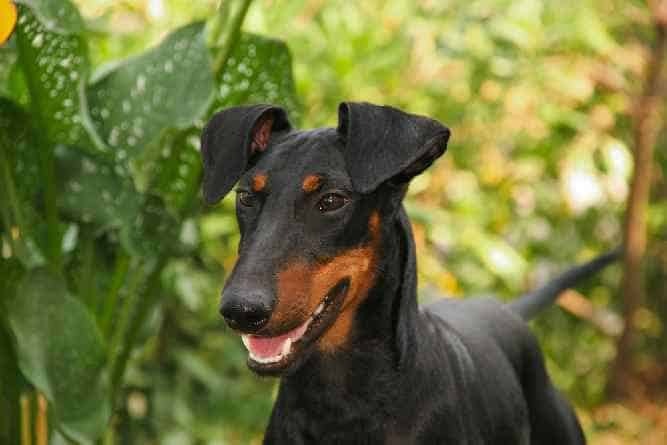 Hailing from Manchester, England, the Manchester Terrier is thought to be a cross between Britain’s black and tan terrier and Whippet. The Manchester Terrier dog is thought to be the oldest of identifiable terrier breeds. 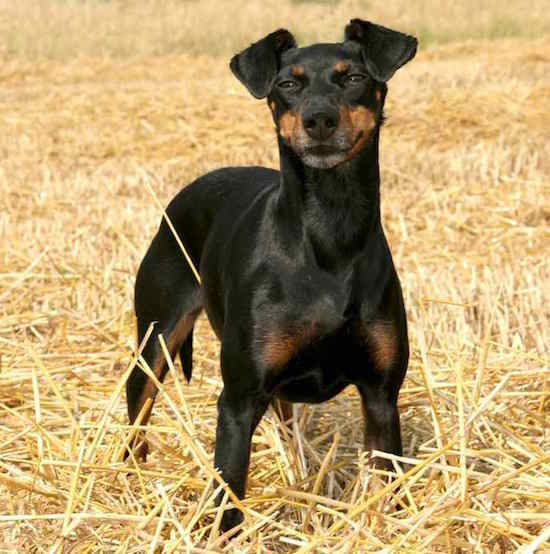 A true terrier, the Manchester Terrier is lively and spirited. They are social creatures and love to be around their humans. Because of their small size, Manchester Terriers do better in homes with older children. Young kids may inadvertently harm a Manchester during playtime. The Manchester Terrier has a strong prey drive. While they generally get along with other dogs, cats and other small animals should be avoided. Manchester Terriers can adapt to almost any environment. They will do well in an apartment in the city or on a ranch in the country. The Manchester Terrier is a great watchdog. They will bark (sometimes too much) when intruders are near. But they are not overly-aggressive or high-strung. 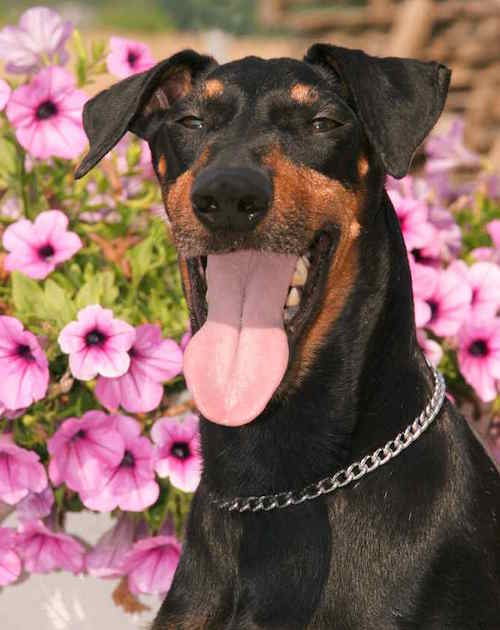 Manchester Terriers are very intelligent and enjoys thinking their way through a situation. But this willful terrier can be stubborn. You must show that you are the leader through consistent training. Manchester Terriers are keen and perceptive. If you aren’t careful, they’ll take advantage of your inconsistency. Use firm yet positive training methods full of praise and treats. With positive reinforcement training, the people-pleasing Manchester Terrier will be trained in no time. They can be protective, headstrong, and snappy if not socialized properly. Start socializing your Manchester Terrier puppy as soon as possible to prevent potential problems in the future. Did you decide the Manchester Terrier will make a great addition to your family? Now it’s time to find the perfect one. First, are looking to add a puppy or adult dog to your family? Manchester Terrier puppies are adorable, but they are a lot of work. Are you prepared to dedicate the time puppies require? They will need housetraining, obedience training, and socialization. If you don’t have the time for a puppy, why not adopt an adult Manchester Terrier from a rescue? Adult dogs are often already housetrained and have basic obedience training under their belt. Purebred Manchester Terrier puppies for sale from a breeder will cost between $600-$1000. The Manchester Terrier price depends on bloodline, litter availability, and location. If you are looking to add an AKC registered Manchester to your family, expect to pay closer to $1000. Manchester Terriers for sale from a rescue will cost between $200-$400 depending on the rescue organization. The price often includes vet exams, vaccines, spay/neuter surgery, and microchipping. 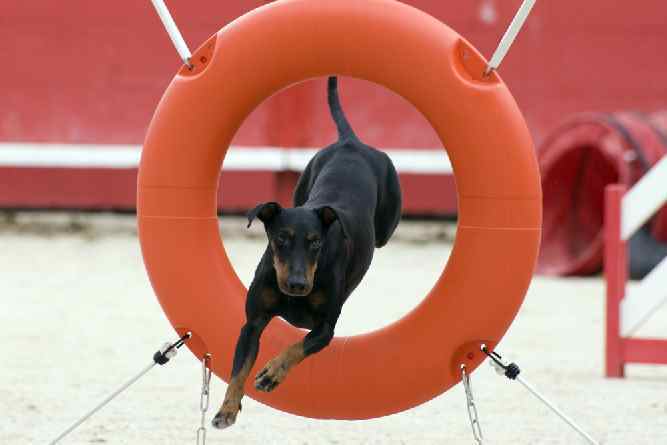 The American Manchester Terrier Club is a great place to start if you decided on Manchester Terrier rescue. You can also contact your local shelter to see if they have any Manchester Terriers available for adoption. In addition to purebred adult dogs, many rescue organizations also have Manchester Terrier mixes available for adoption. Both adult dogs and mixes are perfect for busy families who don’t have time for a puppy or prefer a mixed breed. If you decided to purchase a Manchester Terrier puppy from a breeder, research local breeders and plan visits. Manchester Terrier breeders should be extremely knowledgeable about the breed – especially any known health conditions or temperament issues. Bring a list of questions and make sure they ask you questions in return. Reputable breeders want to make sure they are matching their puppies with the perfect family! Take note of their kennel area – is it clean? Do they treat their dogs and puppies with love and care? Do the dogs act scared or fearful around the breeder? Take your time when choosing a Manchester Terrier breeder. Plan as many visits as it takes to find your perfect puppy! The Manchester Terrier size is small to medium. They weigh between 12-22 pounds and stand between 15-16 inches tall. Also, a Manchester Terrier's lifespan is between 15-17 years. Often, people confuse the Manchester Terrier vs. the Miniature Pinscher, but they are two separate breeds. Manchester Terriers are large while Miniature Pinschers only weigh between 8-12 lbs. And, while both can have black and tan coats, Miniature Pinschers come in more colors. But the main difference is their temperaments. Manchester Terriers need more exercise than the Miniature Pinschers and are better for active families. When it comes to grooming, the Manchester Terriers short coat makes them low maintenance. Once a week brushing and a bath when dirty is the extent of their grooming requirements. They do shed, but not excessively. Regular brushing will keep that under control. You may think the Manchester Terrier is hypoallergenic because of their short coat, but they are not. They do, however, produce less dander than larger breeds just based on their size. If purchasing from a breeder, you should see health clearances from the Orthopedic Foundation for Animals as well as the Canine Eye Registry Foundation. Note: Few things are more important than our Health. It's no different with our Dogs Health. Some visits (and Money) to your Vet can be avoided if only you know what to when your dog is ill. The Ultimate Guide to Dog Health is the answer. No dog owner should be without this handy guide. It's no substitute for your Vet but it will Save you Money. And it will help you quickly understand and recognize symptoms before they become a serious problem for your dog. The Manchester Terrier is an active breed. They do best with daily walks with their human or playtime in the backyard. This is a breed that loves to be around humans. They’ll love to accompany you on your daily walk, run, or hike. An athletic breed, Manchester Terriers excel at dog sports such as obedience, agility, and disc games. Conclusion: Why the Manchester Terrier? The Manchester Terrier is keen and spirited. They are devoted human companions and adore being around people. They do well with older children and dogs but are too small for young children and have too strong of a prey drive for small animals. An intelligent breed, the Manchester Terrier is eager to please but can be stubborn with training. If you’re looking for an active, alert, and bright dog, the Manchester Terrier will be the perfect addition to your family.